When urine is formed by the kidney, it pools in an area called the renal pelvis. Almost like a funnel used to pour motor oil into your car engine, the renal pelvis is wide at the top and tapers at the bottom, “funneling” the urine into the ureter. The ureter, a long thin muscular tube, then carries the urine from the pelvis to be stored within the bladder. Ureteropelvic junction obstruction (UPJ obstruction) is a condition where a blockage occurs at the junction where the pelvis and ureter meet (i.e. the base of the “funnel”). In cases of a UPJ obstruction, urine is unable to pass from the kidney into the ureter, resulting in both urine and pressure build up inside the renal pelvis and kidney causing pain, kidney stones, and/or decline in the kidney’s function over time (Figure 1). Figure 1. 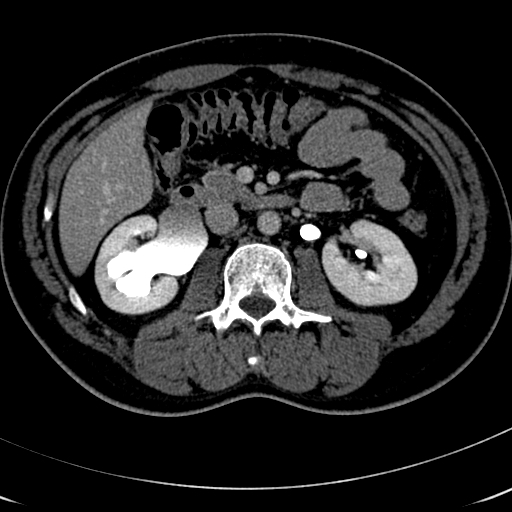 CT scan demonstrating a right UPJ obstruction with dilation of the renal pelvis which was repaired by robotic pyeloplasty. Note that the left kidney is normal and nondilated. The majority of patients with this condition are born with the predisposition to UPJ obstruction. For others, it develops over time, either due to trauma, body growth, scar tissue, ureteral kinks or valves, a crossing blood vessel, or (rarely) a tumor. The traditional treatment for ureteropelvic junction obstruction is a large open surgical incision under the rib to cut out the area of scarring and re-connect the healthy ureter to the renal pelvis. Over the past several years, robotic pyeloplasty was developed to give the same high success rate obtained with open pyeloplasty (>90%) while avoiding the large incision and associated pain and morbidity. Depending on how obstructed your kidney is, you may have a temporary indwelling ureteral stent placed prior to your robotic pyeloplasty surgery or during your surgery in order to bypass the UPJ obstruction and relieve the pressure and urine from your obstructed kidney. Depending on how long your stent has been in place, your stent may need to be exchanged for a new one prior to or during surgery. Your surgeon will discuss with you the timing and possible need for exchanging your stent. Robotic pyeloplasty is a state of the art laparoscopic technique, which is performed in the same manner as the open surgery, except that 4-5 small (< 1 cm) incisions are used instead of a large flank or abdominal incision (Figure 2). Figure 2. Trocar configuration for robotic pyeloplasty(courtesy of Intuitive Surgical Inc, Sunnyvale, CA). Through these keyhole incisions, portals or trocars are placed to allow for insertion of robotic wristed instruments that allow the surgeon to excise the obstruction and accomplish the repair. 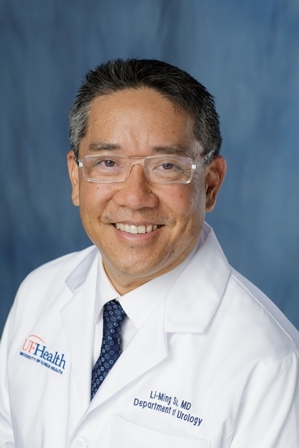 At the University of Florida, we routinely use the da Vinci S Surgical Robotic System to tailor the reconstruction between the renal pelvis and ureter (Figure 3). Figure 4. 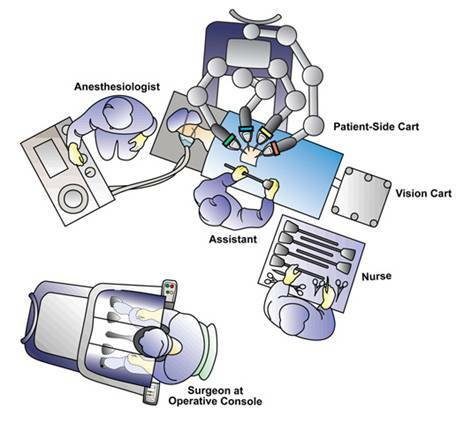 Operating room configuration for left robotic pyeloplasty (courtesy of Intuitive Surgical Inc, Sunnyvale, CA). In addition, the surgeon controls a stereoscopic lens which provides a three dimensional, high definition image of the anatomy. The affected kidney is then dissected and exposed. The area of obstruction is revealed and excised. In cases of a crossing vessel, the vessel(s) are preserved and the repair is transposed from behind the blood vessel to prevent recurring pressure and obstruction. 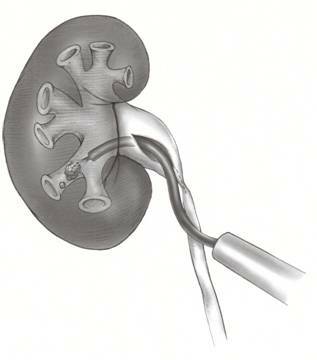 In patients who have developed kidney stones as a result of their UPJ obstruction, these stones can be removed by placing a flexible telescope into the kidney with basket extraction of the stones prior to reconnecting the ureter to the renal pelvis (Figure 6). Figure 6. Flexible telescope is inserted at the time of robotic pyeloplasty to retrieve stones within the kidney. The ureter and renal pelvis ends are spatulated and reconnected using sutures to allow for a wide connection. A drain is placed at the end of the surgery and is generally removed within 24-48 hours. The indwelling ureteral stent is maintained for four weeks and then removed in the clinic during a postoperative visit. Recurrence of Kidney Obstruction: Although very effective, robotic pyeloplasty is associated with a < 5-10% risk of recurrent obstruction. If the obstruction recurs, often an endoscopic procedure using a laser may be needed to “cut” the scar tissue from within the ureter. 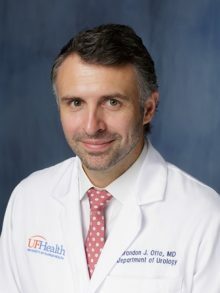 For patients with obstruction associated with chronic pain, there are some studies that suggest the pain may never relent, even when the kidney is no longer obstructed. For these rare circumstances, conservative measures such as chronic pain medications or stenting may not work, and occasionally removal of the kidney (i.e. nephrectomy) is required. Persistent Pain: Some patients who undergo robotic pyeloplasty will continue to have chronic kidney pain despite resolution of the obstruction. Urine Leak: Occasionally, the anastomosis may leak urine from 24 hours to several weeks after surgery. If a urine leak occurs, the drain will stay in place until it heals, and usually patients will require a ureteral stent and foley catheter (bladder catheter) to allow for complete decompression of the urinary tract to encourage spontaneous closure of the leak. Adjacent: Although uncommon, adjacent organs and tissues may be injured as a result of your surgery. This includes the colon, bowel, vascular structures, nerves, muscles, spleen, liver, pancreas and gallbladder. If injury to your lung cavity occurs, a small chest tube may be required to evacuate air, blood, and fluid from around your lung, thus allowing your lung to expand and work properly. On rare occasions, further surgery may be required to address unexpected injuries to adjacent organs. Complete Removal of Kidney: In very rare cases, circumstances may arise that may lead your surgeon to remove the entire kidney at the time of surgery. These include excessive bleeding, or a tumor that appears within the kidney that was not appreciated on preoperative imaging tests. 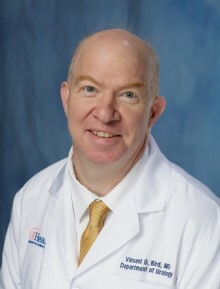 In such cases, the kidney can generally be removed safely by robotic or laparoscopic surgery and often does not require conversion to open surgery. Conversion to Open Surgery: In the rare event of complications or due to difficulty in dissecting by means of robotic surgery, conversion to open surgery is sometimes required. This could result in a larger standard open incision and possibly a longer recuperation period. Flank Drain: A small clear tube or drain will be placed during surgery exiting out of the side of your flank. The drain output will appear blood tinged but should be minimal. The drain primarily serves to identify any excessive bleeding or a urine leak from the renal pelvis-ureter anastomosis site. The drain is typically removed on the day you are discharged from the hospital if the output remains low. Ureteral Stent: For all pyeloplasties, a small plastic, flexible tube called a ureteral stent will be placed. The stent serves to facilitate drainage of urine out of the kidney and down to the bladder rather than out of the anastomosis site. 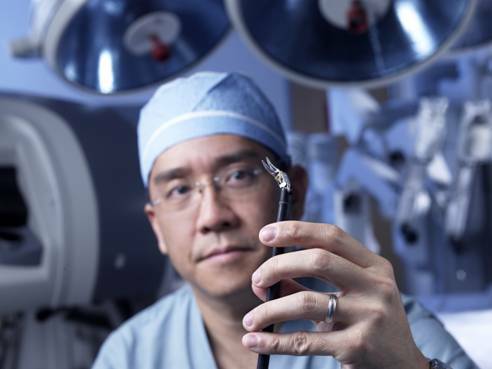 Approximately 4 weeks after surgery, the stent will be removed in the office by your surgeon. following surgery. In addition, your intestinal function is often sluggish due to the effects of surgery and general anesthesia. It is for these two reasons that we recommend taking only small amounts of liquids by mouth at any one time until you begin to pass flatus and your appetite returns. In the meantime, your intravenous catheter will provide the necessary hydration to your body as you oral intake improves. Hospital Stay: The length of hospital stay following robotic pyeloplasty is generally 1 day. Follow-up Appointment: Patients should make a follow-up appointment with their surgeon by contacting the UF & Shands Medical Plaza Urology Clinic at 352.265.8240 for an appointment to remove the ureteral stent 4 weeks after surgery. Your surgeon will let you know the timing and schedule of clinic visits following surgery. What is the advantage of robotic pyeloplasty as compared to open surgery? Robotic surgery for treating symptomatic UPJ obstruction has significant benefits to the patient, including reduced blood loss and transfusions, reduced pain, shorter hospital stays, improved cosmesis, and a faster recovery as compared to open surgery. As such, it has become the standard of care for the surgical management of UPJ obstruction. Published outcomes of laparoscopic pyeloplasty appear comparable to open pyeloplasty results in terms resolution of obstruction and symptoms. Why use the robot for this surgery? 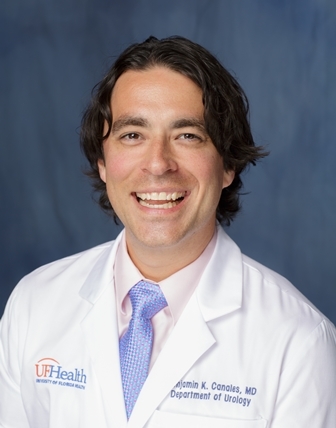 At the University of Florida, we routinely use the da Vinci robot to tailor the reconstruction and to perform the anastomosis. The robotic wrists of the da Vinci give the surgeon a freedom and dexterity of motion that cannot be achieved by simple laparoscopic instruments alone. This results in more efficient suturing and dissecting during the surgical repair of your UPJ obstruction. Are there potential disadvantages of the robotic approach compared to open? In general there are no particular disadvantages. However, some situations may dictate the need for open surgery (see below). What patients are not good candidates for robotic pyeloplasty? Patients with a prior history of multiple and extensive abdominal surgery esp. kidney surgery may have excessive scarring around the kidney and renal pelvis, and therefore may not be ideal candidates for a laparoscopic approach. In such cases an open approach may be required. Patients with medical conditions such as severe lung and heart disease may not be able to tolerate a laparoscopic approach due to the need for a general anesthetic. 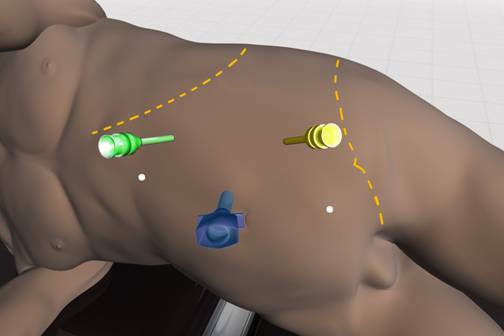 Although extremely rare, conversion to open surgery may be required if difficulty with dissection is encountered during the robotic approach. Our surgeons are trained in open surgical approaches as well as laparoscopy and therefore are well equipped to complete the surgery in an open fashion if needed. What is the overall success rate of robotic pyeloplasty? Success rate in terms of complete radiographic resolution of the obstruction is approximately 90% with symptomatic relief in approximately 95%. In comparison, endoscopic techniques such as endopyelotomy are associated with a 70-80% success rate. Balloon dilation of a UPJ obstruction is rarely a long term solution for this condition. Will further X-ray tests be required after surgery? 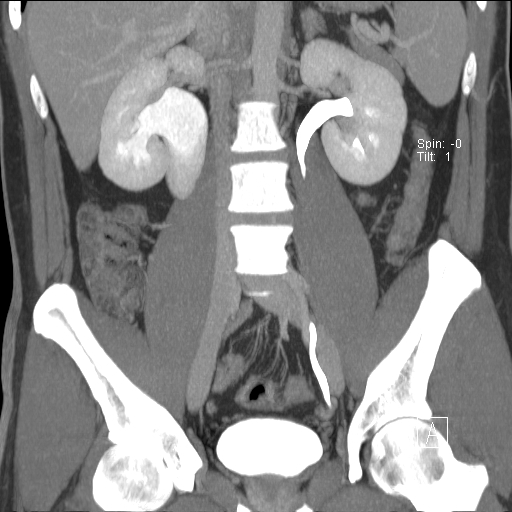 Follow up imaging studies such as a nuclear renal scan, intravenous pyelogram, or CT scan are often obtained to confirm drainage of the affected kidney and to document success of the repair. Your surgeon will determine the appropriate timing and preference of imaging studies.